New York Beauty Ready for Lenni! Oh - My -Gosh! I can't believe it's been nearly two weeks since I posted. Since Mr. Squash's back surgery, I've been a busy gal helping him recover, taking care of things around the house, and OK - I'll confess - spending a LOT of time in my studio! Yesterday I finished my New York Beauty flimsy! I wish I didn't have to wait until later in November to take delivery of Lenni. I really want to get this quilted, but I'm practicing patience and Mr. Squash is teaching me how to chant from his days in Peace Corps, Nepal ... Lenni, Lenni, arrive soon to the Squash House, Lenni ... somehow I don't think that will speed her delivery, but I can dream! Actually, you should know that Mr. Squash helped me with the layout on this! Those of you who have made New York Beauties know that there are endless ways to arrange your blocks and we had a lot of fun figuring out which we liked best! The fabric used in this is Pat Sloan's Old Blooms from 2003 - gosh - can't believe I've had this around for so long! Speaking of beauties, Autumn is finally in full swing here! 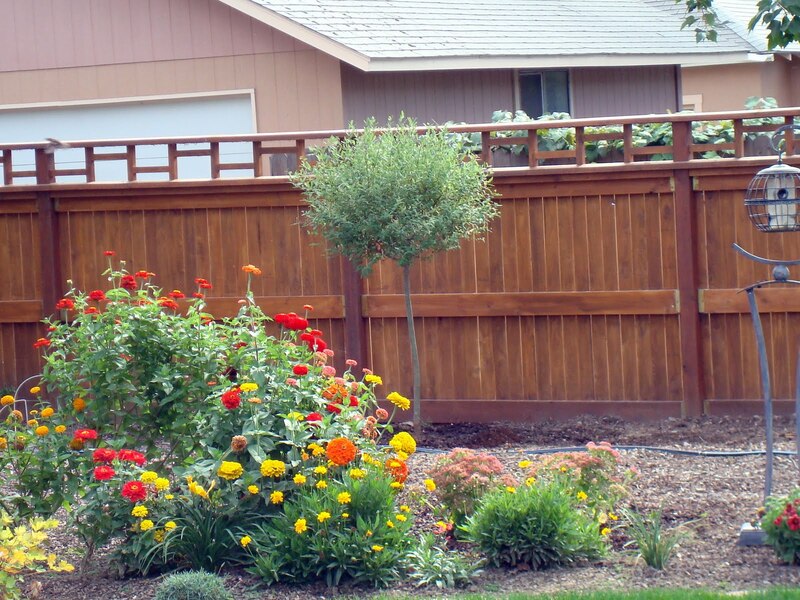 You wouldn't know it to look at our yard. Most of the annuals, perennials and roses are still blooming, but I did plant garlic and put the raised beds to rest for the winter by spreading straw on top of them. Check out the neighbor's gorgeous maple tree! I can't believe ours to the right of the photo hasn't even changed as yet! This is going to be my next project. 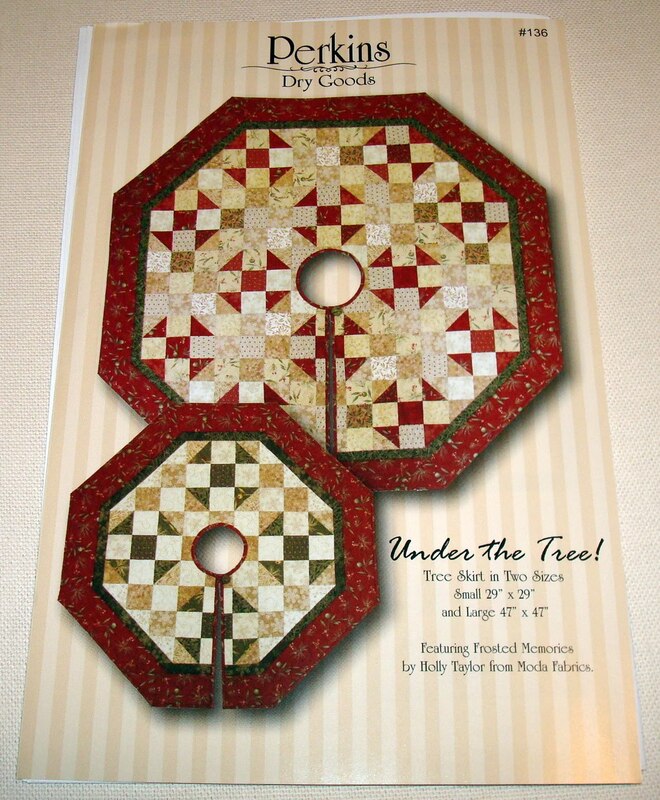 I've been wanting to make a tree skirt for ages, and I love this pattern from Perkins Dry Goods! I'll be making it with Northwoods by Holly Taylor. I ordered a fat quarter bundle of it today from Green Fairy Quilts - more than enough for the skirt (maybe both) and stockings for the mantel! Hard to believe that Christmas is two months away - eek! Patiently Quilting and Lenni Update! Oh, where to begin? The past few weeks have been a blur around the Squash House! Let's go to the major activity first - Mr. Squash had back surgery last week. He's had back pain ranging from mild to "get me outa here" for a couple of years now. Recently a new MRI detected a large, bulging disc and some other minor issues that needed to be addressed. A wonderful, young neurosurgeon worked his magic, and now Mr. Squash is in recovery mode - doing quite well! Nowadays recovery is up and about, not down and out! He has to walk every day and by the end of 4 weeks, he needs to be up to a mile. There are restrictions, though, that limit him to doing much of anything else, but he's happy playing with his new iPad, reading and watching movies! Being that we can't venture far from home for a while has given me the opportunity to get back to some quilting! That's where the "patiently" (Mr. 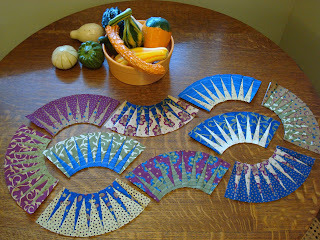 Squash) quilting in my post title came from! A while back, Stephanie had a tutorial on New York Beauties. She has known for some time that I've had the fabric and pattern for one, but have had a mental block on the paper piecing part! Thanks to her fantastic tutorial, and some diligence on my part, I finally "got it"!! Here is some of what I've finished so far. The purple you see is really more of a deep red/burgundy - not sure why the photo translated to purple! I have four more of these to go, then I'll be adding to either side of each piece, then two borders are added, then it gets quilted. 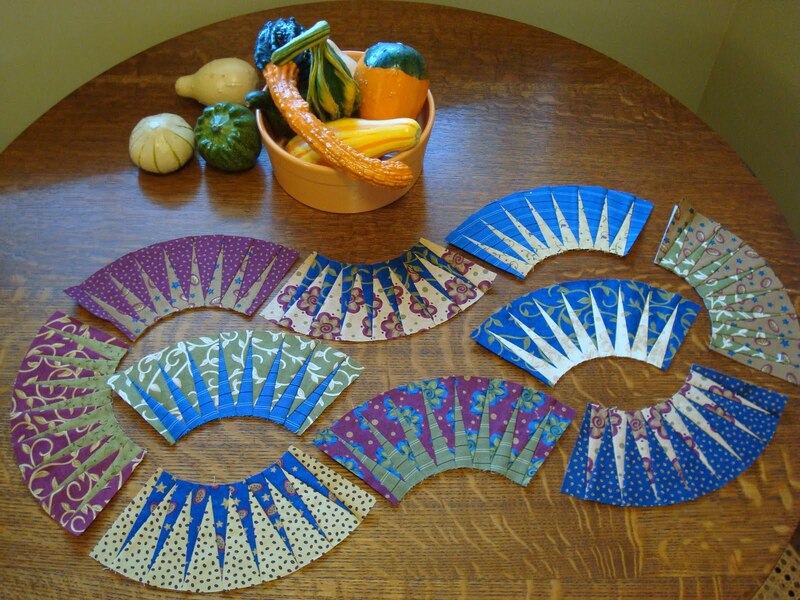 It's a pattern by Mabeth Oxenreider from Love of Quilting back in 2004! Yes, I'd been struggling to understand how to do this for some time! 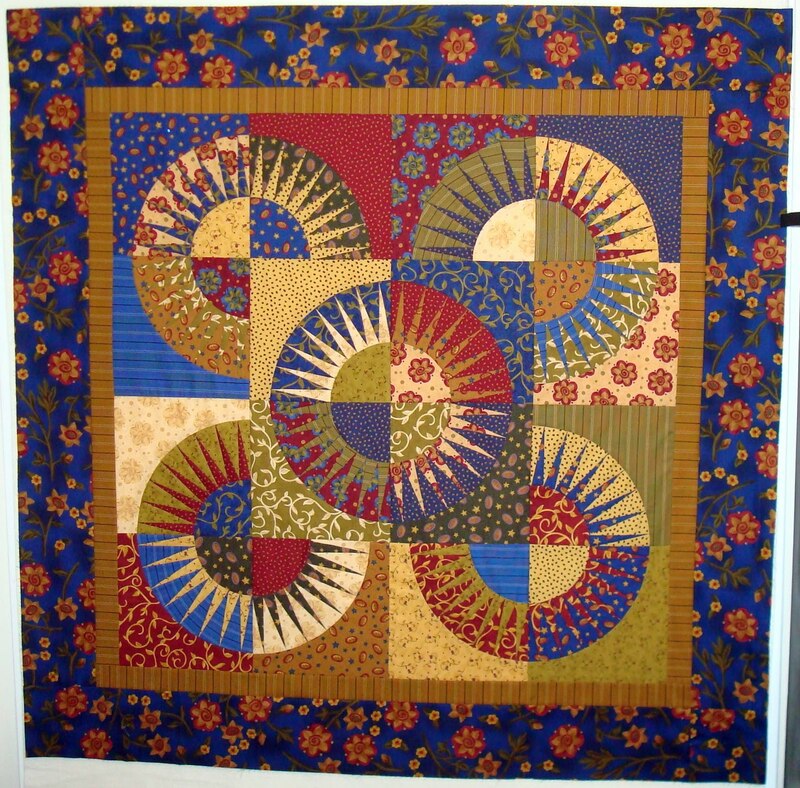 Speaking of quilting, I had a lovely conversation with Heidi Kaisand today about my APQS Lenni. Heidi is National Sales Manager for APQS and is finalizing my Lenni purchase. She informed me that just last night APQS announed they would be offering the horizontal and Bliss drive for the Lenni. 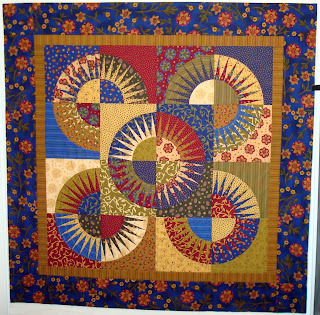 It will be debuted at the Houston International Quilt Show next month. Well, it didn't take much thought for me to go ahead and order the horizontal drive - I've heard there is a world of difference between it and the vertical drive Lenni comes with! The only problem is that I'll have to wait a bit longer for Lenni to find her way to the Squash House! The slight delay just gives me more time to piece quilt tops! Shortly after our company left a couple of weeks ago, I had another "Supreme" sewing job for Stephanie. 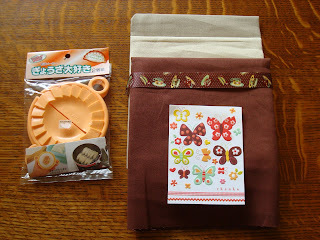 This afternoon's mail brought a lovely thank you from her in the way of some yummy Essex cotton/linen and a gyoza maker! A while back Mr. Squash and I searched all over and couldn't find one anywhere! I mentioned it to Stephanie one day, and what do you know! How thoughtful, wouldn't you say? I won't be able to show you what I made for a while, but stayed tuned, it's really adorable! There has also been a lot of yard work to do....you know, end of summer, beginning of Autumn stuff. 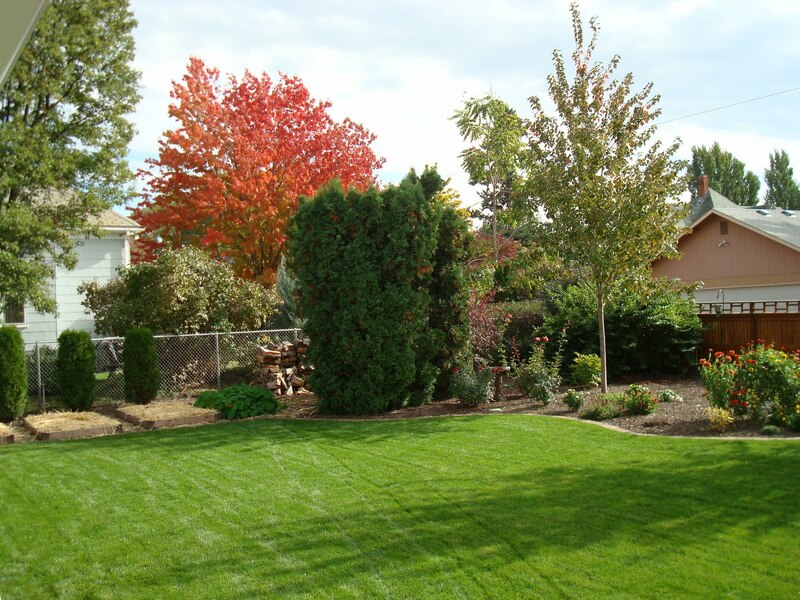 Earlier in the summer we saw a gorgeous tree at one of the local nurseries and decided if it was still available in the Fall, which is prime planting time, we would get one. Sure enough, there were two left and one now resides here at the Squash House! It is a Hakuro Nishiki Willow. In the spring the leaves are a variegated pink, green and white - so pretty. Right now the leaves are just green and white and as they turn and begin to drop, they become yellow/green. There is still work to do, but I'm having trouble tearing myself away from my sewing machine and Mr. Squash this week! 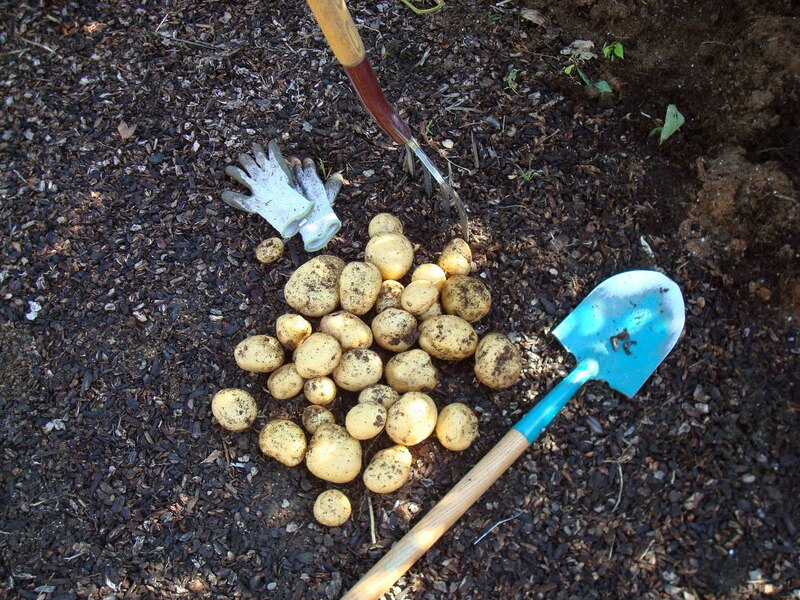 Potatoes, Pumpkins, iPads and Quilts! First I have to show you the surprise we found on the front arbor today! 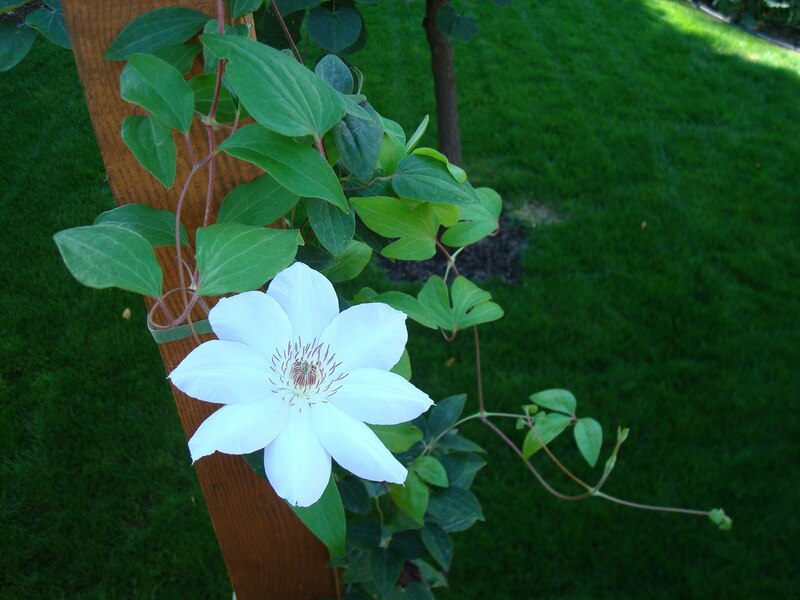 H. Bernard, the Clematis, made a late comeback! He was done blooming a couple of months ago and for some reason had to make just one more showing! And here are three of the "Boys of Autumn"! Aren't they handsome? Each weighs about 15-20 pounds! 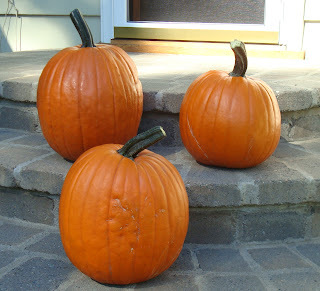 There are four more larger pumpkins still in the patch that are just beginning to turn color - I sure hope they make it before Halloween or the first frost! We harvested the Potato Tower today! I'd say this is a pretty good showing for a small tower! Lots of buttery Yukon Golds just waiting for some Fall comfort food dishes! Before I leave you with some more fantastic quilts from the Portland show, I wanted to mention something about iPads. A while back I had a comment from a new reader who said she loved my photos, but could not read my text - it was "all brown". I had no idea what she meant and she was one of those commenters with no contact info. While we were in Portland, Mr. Squash purchased an iPad. He got on my blog and said to me did I know that my text was unreadable - it was all brown! Well, it immediately clicked that the iPad doesn't seem to want to display all of the colors in my background, rendering the text unreadable. Has anyone else noticed this while surfing blogs on their iPads? I emailed the gals at Cutest Blog on the Block who designed my blog and asked if they knew anything about this. They prompltly replied this was the first they had heard of it, but would look into the matter. I would appreciate anyone who has had this issue leaving me a comment! Here are some more gorgeous quilts from the Portland show! I am off to appointments in the Big City today, so will respond to your comments later today!